Re-Bound - Live at Summer Panic, Palm Club 2015 08. 29. WEX 10, Juan Ddd, Frankyeffe, Enrico Sangiuliano & Secret Cinema, Ramiro Lopez and more. 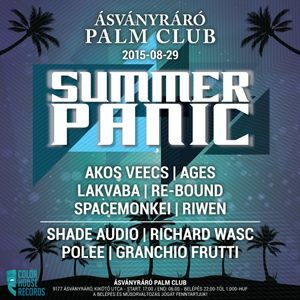 Live at Summer Panic, Palm Club, Ásványráró, 2015 08. 29.